Patch 0.8.25 is now available on PC and Xbox One! 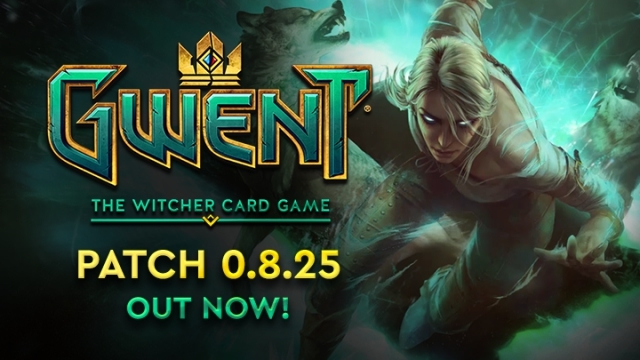 The second patch for GWENT: The Witcher Card Game is coming soon to PC and XBOX ONE! Dagon can now choose to spawn First Light (the new version of Clear Skies). Drowner strength changed from 7 to 5. Drowner is now immune to Rain. New Drowner ability: Move a non-Gold opposing unit to the enemy's Siege row. Field Marshal Duda strength changed from 1 to 3 (both forms). Mahakam Defender strength changed from 3 to 4. Mahakam Guard strength changed from 3 to 4. Mahakam Guard now increases non-Dwarf strength by 3 and Dwarf strength by 5. Added Frost Immunity to Mahakam Guard. Botchling now stays on the board for only one round. Nithral damage changed from 1 to 2. Ocvist countdown changed from 5 turns to 4. Added "Vampire" category to Regis: Vampire Form. Myrgtabrakke now deals 3, 2 and 1 damage instead of 2, 1, 1. Myrgtabrakke strength changed from 5 to 4. Ekimmara can no longer consume unrevealed Ambush cards. Hemdall now destroys his Kambi and removes all Weather effects. Players can now choose on which row to place Agile units summoned by Reinforcements. "Harald now deals 3 damage to opposing weakened units and 2 damage to all other opposing units. Harald can also damage Gold units"
Harald no longer damages unrevealed cards. Aglais strength changed from 7 to 5. Barclay Els ability now affects Gold Dwarf cards. Geralt: Igni now requires opposing row total 20 strength instead of 15. Morkvarg strength changed from 5 to 6. Ciri strength changed from 8 to 6. Birna Bran strength changed from 9 to 8. Birna Bran now draws 3 cards instead of 4. Young Bear now gains +1 strength if first appearing in Round 2 and +2 strength if first appearing in Round 3. Ele'yas strength changed from 3 to 4. Aelirenn ability changed to: Add +1 to all Elves, play from deck when 5 or more Elves are on your side. Griffin can now also move a Special Card from your opponent's graveyard, not just units. Change to Weather: If a Gold unit on a row with Weather is converted to Silver/Bronze, its power is reduced to 1 (unless it is immune to that Weather effect). Caranthir is now immune to Frost. Imlerith is now immune to Frost. Lord of Undvik is now immune to Frost. Units with 0 health shouldn't activate in most situations. Stammelford's Tremors now deals 2 damage to both sides of the board. Hawker Healer strength changed from 1 to 2. Commander's Horn now removed from the game after playing. "Roach is no longer played from your hand when a Gold card is played." Roach is only played when her owner plays a Gold card. Shani strength changed from 4 to 3. Odrin strength changed from 5 to 4. Prince Stennis strength changed from 7 to 8. Priscilla strength changed from 1 to 2. Reinforced Trebuchet damage changed from 1 to 2. Reniforced Trebuchet countdown changed from 2 to 3. Reinforced Ballista strength changed from 4 to 6. Trebuchet strength changed from 3 to 4. Gaunter O'Dimm strength changed from 5 to 6. Golem strength changed from 5 to 6. Wild Hunt Warrior strength changed from 4 to 5. Radovid damage changed from 10 to 8. Ermion strength changed from 7 to 6. Draig Bon Dhu strength changed from 2 to 4. Draig Bon Dhu now adds 1 to base strength of units in the graveyard, instead of adding 2 to current strength. Nithral strength changed from 7 to 6. Hawker Support strength changed from 2 to 3. Hawker Support ability only triggers with loyal special cards. Hawker Support ability now only triggers once from Aeromancy. Hawker Support is now properly affected by Weather. Vrihedd Vanguard strength changed from 4 to 6. Vrihedd Brigade strength changed from 7 to 8. Clan Dimun Pirate Captain strength changed from 1 to 3. Clan Dimun Pirate Captain buff changed from 3 to 2. War Longship strength changed from 3 to 5. Savage Bear strength changed from 5 to 3. Zoltan: Animal Tamer strength changed from 7 to 6. Isengrim now spawns 2 Commando Neophytes each time you play a Special Card. King Bran now gives +2 base strength to any units he discards. Dandelion ability changed, now adds +2 strength to non-Gold units when they appear on the board. Dandelion strength changed from 1 to 4. Monsters faction ability no longer targets Resilient units. "Promotion" changes: converting units to Gold no longer sets current strength as new base strength. Also, the unit will revert from Gold to its original color when destroyed or at the end of the current round. Upon entering the graveyard both gold status and all buffs are removed. Spawned copies of units or units spawned by other units are now always placed on the same row as the base unit. Philippa strength changed from 12 to 10. Weather change: if a unit is moved out of Weather, its strength changes according to Clear Weather rules. Copies spawned on a row affected by Weather now have their strength reduced. Dwarven Mercenary's strength changed from 2 to 3. Changed rarity of Wolves, Eredin and Wild Hunt Minion to Epic. Redanian Elite buff removed due to technical issues, strength changed from 4 to 6. Operator and Regis are now Relentless. Operator is now banished when destroyed. Johnny is now Relentless and is removed from the game when destroyed. Johnny now never returns the exact same card. Ancient Foglet now correctly dies before getting buffed when strength is 0 at the end of the turn. Earth Elemental now spawns 3 Small Elementals upon being removed. Margaritta and Ves are now properly counted towards units promoted. Milva can no longer target herself when Silver. Sabrina now only triggers upon entering the graveyard. Savage Bear now properly destroys cards before they trigger their abilities. Spectral Whale now immune to all Weather. Dun Banner Heavy Cavalry strength changed from 4 to 5 and their promotion will trigger before Borkh's Scorch. Priorities of numerous abilities were changed to make them feel correct. "Medic" category is now known as "Permadeath". "Permadeath" units cannot be ressurected. Nenneke, Shani and Lubberkin now in the "Permadeath" category. Siege Towers will no longer buff themselves at 0 health in certain situations. Restoration now adds +2 to base strength of a unit in the graveyard before the unit is ressurected. Reanimated Craven has a higher ability priority. Added a 2 turn timer to Madman Lugos' ability. War Longship now recognizes Morkvarg being discarded properly. Clan Dimun Pirate Captain now recognizes Clan An Craite Raider being discarded properly. War Longship now recognizes Clan An Craite Raider being discarded properly. Vrihedd Sapper should no longer trigger its ability at 0 strength. Added a 2 turn timer to Gavehag's ability. Gravehag strength changed from 1 to 2. Elven Wardancer strength changed from 2 to 4. Clan Tordarroch Shieldsmith strength changed from 4 to 5. Fixed an issue whereby the game would fall out of sync when the Scoia'tael faction ability timed out between rounds. Added UI scaling option for XBOX ONE. Fixed an issue whereby Fireball Trap would spawn only one Commando Neophyte instead of 2 when unit was destroyed and didn't spawn anything when damaged unit survived. Fixed an issue whereby the "Hide Cards" button caused one of the cards to be redrawn rather than all cards to be hidden. It's now possible to scroll through the Main Menu options. "Cancel" button after playing a card with targeting ability removed from the UI. Visual effects will no longer provide clues about the cards in your opponent's hand/graveyard. Fixed issue whereby the game would become blocked under certain circumstances while in the Deck Builder. Fixed issue whereby Commander's Horn would sometimes not play any effects. Fixed issue whereby Ele'yas would not be buffed if a Commando Neophyte died right after spawning. Fixed some issues with Shani ability priority. Fixed issue with Tuirseach Axeman ability priority while affected by Weather. Fixed issue with various Medic priorities related to weather. Fixed issue whereby War Longship would still deal damage, even when its strength had reached 0. Fixed typo in name of the author of the Ciri card (Anna Podedworna). Fixed Tordarroch Shieldsmith's tooltip in German. Fixed Ice Giant's tooltip in Polish. Fixed Arachas Behemoth's tooltip in Polish. Fixed Priscilla's tooltip - it now correctly states she can draw any cards, not just units. Improved Russian font, thus eliminating a few issues. Numerous minor tooltip polishes (typos, punctuation etc.). Pre-patch GWENT Beta Live Stream! Join us live on Wednesday, November 30th, at 9PM CET on the CD PROJEKT RED Twitch channel! We will be talking about changes that will be implemented in the upcoming patch and we'll give you a sneak peek of some of the things we are currently working on! As always we'll be answering your questions, so be sure to stop by! 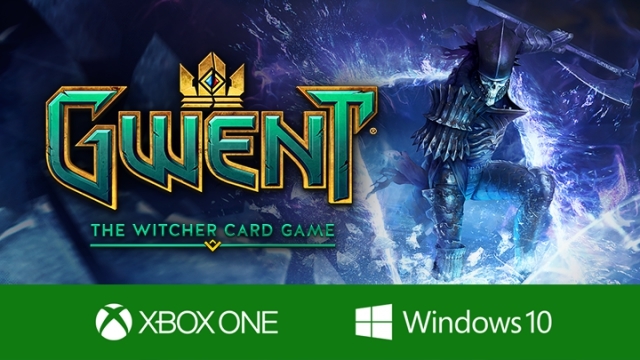 GWENT Xbox One in-game shop is now live! We launched the in-game shop on Xbox One, so Xbox Live users who want to purchase Card Kegs containing extra cards can now do so. Here's a quick update regarding the GG exploit (repeatedly starting games and instantly quitting them to get rewards). To put it simply, using game mechanics in ways other than clearly intended affects the overall experience of other players. We feel it is right to protect their gaming experience, which is why we decided to take preventive measures. These measures are only applied to players who consistently and repeatedly take advantage of discovered exploits (as evidenced by game logs), and not to those who e.g. forfeit from time to time or even quite often, or attempt to reproduce issues found with game mechanics and functionalities a few times in order to report them to us (which we greatly appreciate and are thankful for!). We also address this topic in GWENT User Agreement, notably in section 9., points 3., 4., and 5. as well as point. 13. GWENT: The Witcher Card Game EP now available on Spotify, Apple Music, Google Play Music and more! We’re excited to announce the release of GWENT: The Witcher Card Game EP minialbum in popular streaming services and digital music stores all around the world. The release includes tracks by Mikolai Stroinski and Marcin Przybyłowicz -- composers behind the award-winning soundtrack for The Witcher 3: Wild Hunt and both its expansions, Hearts of Stone & Blood and Wine. “GWENT allows us to return to the world of professional monster slayer Geralt of Rivia, but this time in a different kind of game,” says Marcin Przybyłowicz, Music Director, CD PROJEKT RED. “We’ve once again teamed up with the folk band Percival. Together we’re working to create music that has a distinct The Witcher feel to it, but also fits the new genre, and we hope gamers will enjoy listening to it,” Przybyłowicz adds. GWENT: The Witcher Card Game EP is available now on Spotify, Apple Music, iTunes, Google Play Music, Tidal and Deezer among others. We would like to encourage you not to buy closed beta keys from external sites – this is against the game's terms and conditions. We are trying to remove such offers, but it's a timely process and we cannot do it all at once. We ask you for a bit of patience – everyone who signed up for the beta will have the chance to participate sooner or later, it just may take some time until all invites go out. 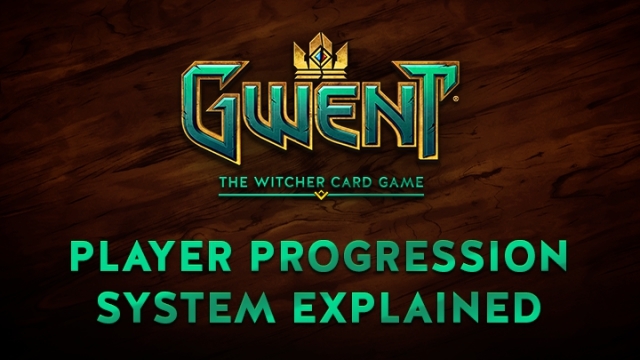 We've received a lot of questions regarding player progression in GWENT: The Witcher Card Game. 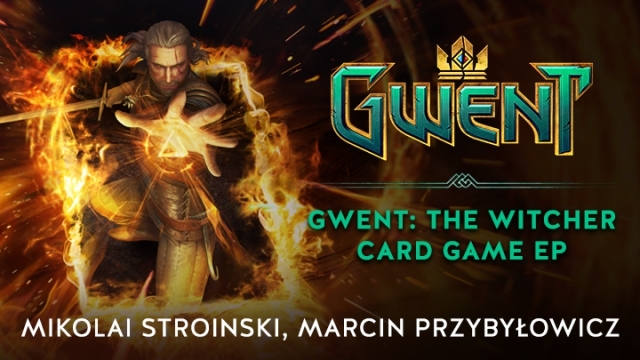 Marcin Momot (Community Lead) and Jason Slama GWENT (Lead Programmer) sat down and explained in detail how our current reward system works. You can watch the video here. Are there no scrap refunds for nerfed cards? You should have scraps added to your account upon logging in. If you haven't received them, please try contacting our tech support. Patch 0.8.16 is out now PC and XBOX ONE! Changed the rarity of Legendary leaders to Epic. Players receive 600 scraps for any non-starter Leader in their collection (to make up the difference in crafting price). Monster faction ability no longer keeps Gold units on the battlefield. Unit version of Eredin now Silver and immune to Frost. When Weather is removed at the end of a round, only red strength values are reset. Join us live tomorrow (November 17th), at 8PM CET on the CD PROJEKT RED Twitch channel to check out some of the changes that will be implemented in the upcoming patch. We’ll also be talking about building decks, opening card kegs, and answering your questions. Don't forget to follow our official Twitch channel, where you'll be able to watch the stream. 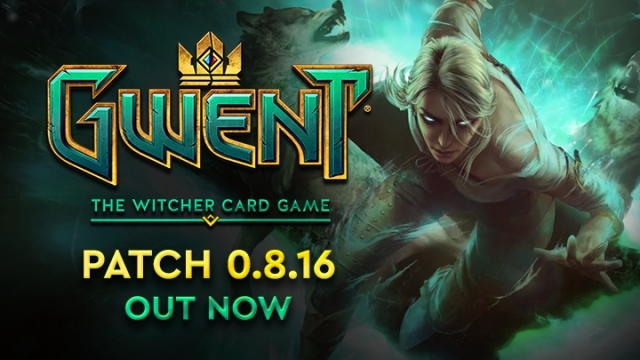 The first patch for GWENT: The Witcher Card Game is coming soon to PC and XBOX ONE! - Changed the rarity of Legendary leaders to Epic. Players receive 600 scraps for any non-starter Leader in their collection (to make up the difference in crafting price). - Monster faction ability no longer keeps Gold units on the battlefield. - Unit version of Eredin now Silver and immune to Frost. - When Weather is removed at the end of a round, only red strength values are reset. You can check out the full list of changes here. 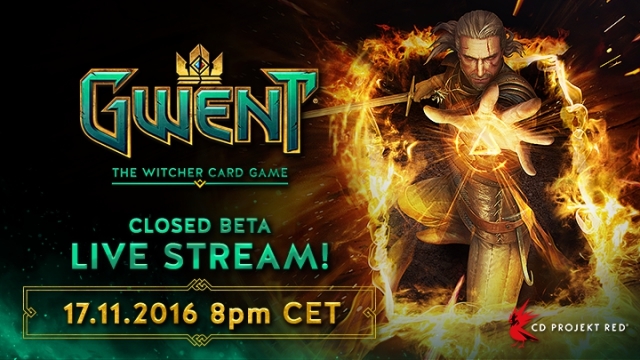 The Closed Beta of GWENT is live and we’re happy to see first gamers duking it out! One of the coolest things about GWENT is that you can learn to play it in a couple of minutes. However, there are still plenty of things that can take you by surprise if you’re not looking in the right direction. Here’s a couple of tips that can help you play more efficiently. Here we go! 1. You are the Wild Card! Bluffing and deception lie at the core of GWENT. You should always expect your opponent to try and trick you during a match. Sometimes it’s quite easy to call a bluff -- if your opponent is playing cards into weather on purpose, it can mean that they’ve got a Clear Weather card in their hand. Other times bluffs can be quite elaborate -- like when your opponent is playing a lot of disloyal cards, making you believe they’re giving up the round on purpose, where, in reality, they’re baiting you to pass the round instead and turn things around with a single card. But remember that you can bluff your way to victory, too. Even if you were unlucky during the draw and the cards you have in your hand don’t play well together, you can still deceive your opponent into thinking that you have a sleek play up your sleeve. 2. Avoid overloading your deck! In GWENT you can create decks of up to 40 cards, with the minimum number of cards required in your deck being 25. These limits include both units and special cards. So what’s there to hold you back from creating a huge 40-card deck consisting of your most powerful units, weather and spell cards? Basically, the bigger your deck, the lower your chance of drawing a card you might actually need in a pinch during a match. The key when creating a deck is finding the right mix of cards with a game plan in mind, as well as a sweet spot for the number of cards that make it viable. So, while it’s tempting to fill out your deck with strong units, it’s much better to create a smaller deck focusing on card synergy, where units and special cards work together to create mind bending combos. A good idea for a Monster deck, for example, is creating a deck that focuses on mustering breedable units, like Nekkers and Arachas. Having a Woodland Spirit lets you summon Rabid Wolves, which are also a breedable unit. Using them early will allow you to thin out your deck, leaving your strongest units up for the draw when you enter the next rounds. Using Monster Nest lets you create copies of every breedable unit on the board. Follow that with a Thunderbolt Potion and you’ve got yourself an army. If your opponent isn’t willing to part with their removal spells or weather cards to counter this, then you get an idea of their tactics and also and easy win this round. 3. Don’t over invest during the first round! You need to win two rounds to claim victory. If you play all your strongest cards during the first round, you’re basically handing your opponent the advantage in the rounds that follow. You don’t really want to do that, nor do you want to play more cards than you have to in order to secure a win after your opponent passes. Unless it’s the third round and you just want to rub it in. A good idea for an opening is playing cards that will benefit you during the next two rounds. For Monsters, playing a couple of strong units first is a great option. It forces the opponent to play the same number of cards of equal value minimum or a couple of cards of lower value to match your board, and lets you start off the next round with a powerful unit. 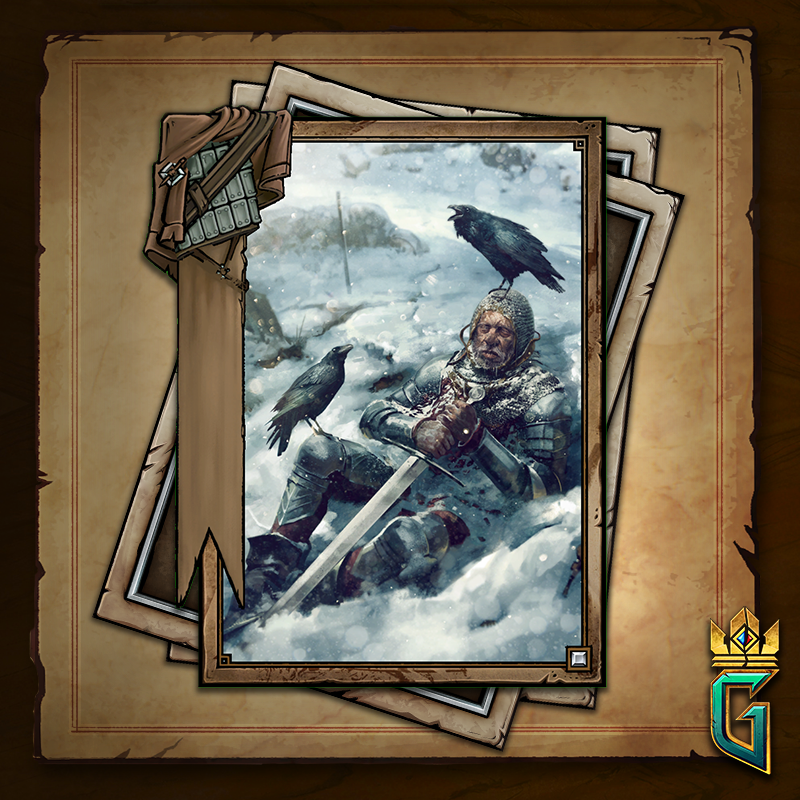 If you’re playing Skellige and your deck focuses on resurrecting units to make them more powerful, that means you should play all those units which benefit from this effect during first. Regardless of the outcome of the round, you’ll be set for some huge plays during the next rounds. 4. Always be aware of your side of the board! In GWENT, some cards like Epidemic, Scorch or weather cards affect both sides of the board. So while it might be tempting to burn away the opponent’s strongest unit from the board, you should always check your side of the board beforehand. 5. Always try to vary the strength and type of units you’re playing! Unit removal and debuff cards are sparse in GWENT, but when your opponent plays theirs, you want to be sure to minimize the blow you sustain. If you play a lot of units of the same strength or type, chances are that the opponent will be able to use that and take them all out or weaken them all in one fell swoop with the right spell or weather card. 6. Try to have at least one answer to weather cards in your deck! So you’re totally dominating a round playing Northern Realms, for example. You’ve got a dozen of Melee units on the board. You think there’s nothing the opponent can do, victory is in the bag. Suddenly, the opponent pulls out a Biting Frost card, setting the strength of all non-Gold units on both Melee rows to 1. Playing a Monsters deck, your opponent’s Wild Hunt units on their side of the board are immune to the effect, giving them an advantage. The best way out of this is having a Clear Sky card, or any other card that can produce this effect. Unless you want your entire strategy to be ruined by one card, you’ll want to have something that makes you weatherproof in your hand. Starting to feel like a GWENT pro already? Follow these tips next time you play and you’ll take a step in the right direction. 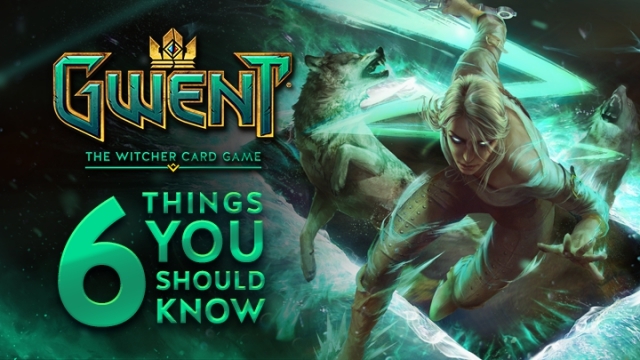 And if you want to learn more, be sure to follow our Facebook and Twitter and check playgwent.com for more insights. 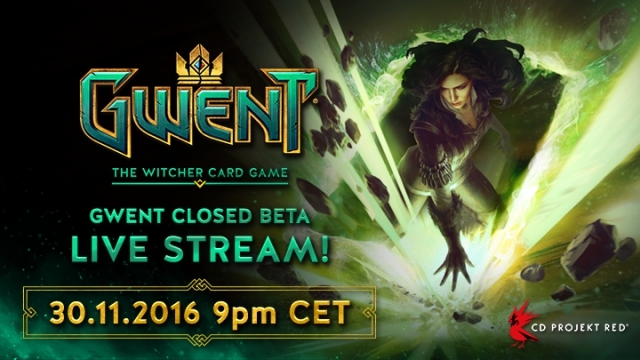 The Closed Beta for GWENT: The Witcher Card Game started a little over two weeks ago. We know that many of you have been waiting a long time to play GWENT. However, the nature of Closed Beta is that access is limited at first, allowing us to make sure the game is a fun and stable experience. We've been steadily sending out more and more invitations to those of you who registered to participate. By the end of next week, everyone who signed up back in June should have received access and we’ll be sending out even more invitations as we go. Thank you for your patience and the amazing support you’re giving us. [CDP RED UPDATE: FALSE ALARM, PLEASE READ] Beta wipe confirmed, only kegs bought with real money will be returned. Wanted to share some light on this. It was rather a poor choice of words on our part in that post. We do not want to do a progress reset, and we will do it only if we really have to. If it does happen, you will get back the number of kegs you purchased with real currency. We would like to apologize on the confusion the facebook post may have caused. Ideally we do not want the reset to happen, but it is a closed beta and many things can happen. If there is a reset at some point, you will get back the kegs you bought with real currency. Hope this helps. Is matchmaking system of some sort present in the game? Matchmaking works exactly as you described (W/L ratio). Regarding leaderboards, etc., please keep in mind that closed beta is not even 1 week old. We have some crazy plans for the game and want to add so many things, but it takes time, so please be patient - it'll all come at the right time. We are aware of these inconsistencies and are planning on addressing them in the future. We realize some of the descriptions might not clear enough to players. I had a small and unfortunate problem yesterday. Checking the mailbox, I saw the email for access to the Beta. I tried to click the button, but it didn't work. Realizing that the problem could be the presence of the email in the spam folder, I moved the email in the Inbox folder. But... it's missing. I tried to look for it, even using the search bar, but nothing. Yahoo, for some reason, removed it. Playing the Beta was one of the things I was waiting for months, and it's really sad that I can't play it for a stupid error of Yahoo. 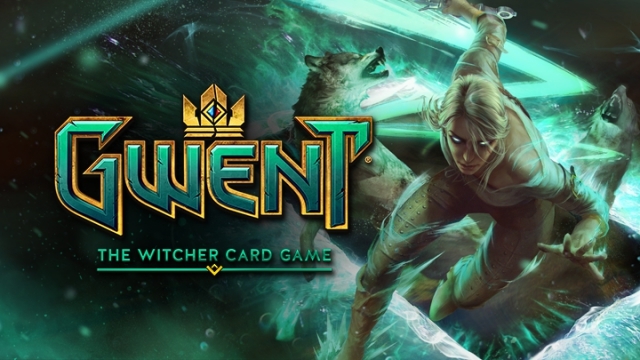 I immediately sent a message to the Facebook page of Gwent, asking, if it were possible, of resending the e-mail, checking to be sure that I was obviously part of those who had received the email. At 24 hours later I received no reply. In case you can not do anything, I understand. Sometimes these misfortunes happen. It's sad, but nothing more. Sorry to hear about this. Please contact our tech support via playgwent.com/support - the fine folks there should be able to help you out. Please don't hesitate to contact me via PM if you have any further questions. This happened to several times when trying to use it on Geralt. Is this intended because he is a Gold card, or because he is not a Witcher unit?